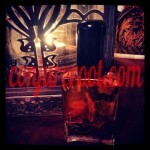 Hoodoo oils are called conjure oils, dressing oils, ritual oils, or anointing oils. They can be used to anoint magickal charms, mojo bags aka gris gris bags, money, the body, name papers or petition papers, talismans, etc. You can also mix the oil with another oil such as “Come to Me”, “Reconciliation”, and “Love Me”, or “Wealthy Way”, “Prosperity”, and “Money Draw”. 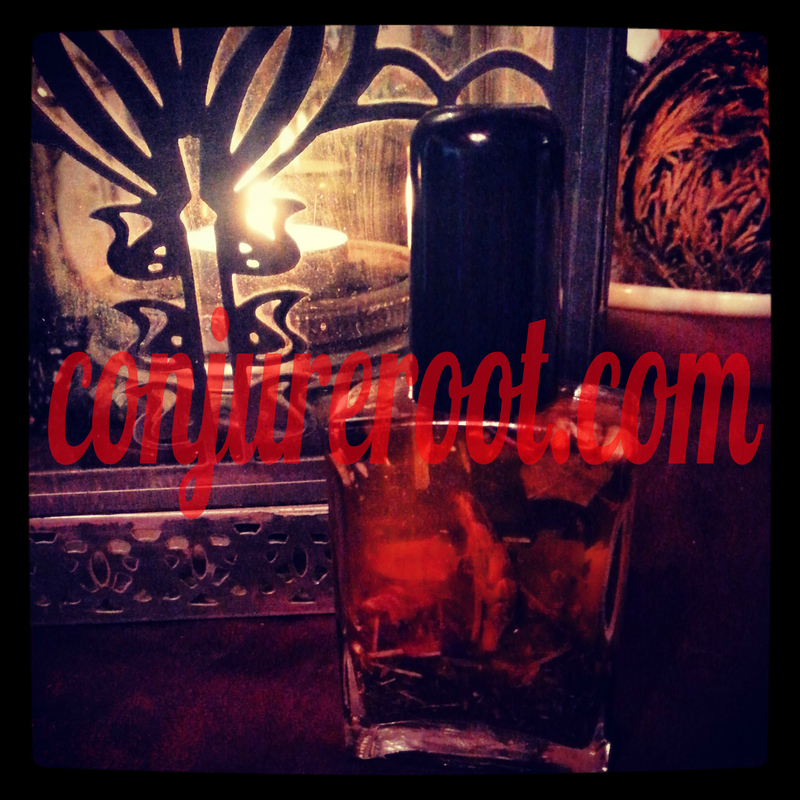 When using the oils to anoint objects, the objects are charged with the intent of the magickal oil, usually in conjunction with a blessing, prayer, or “charge of intent”. Names, birth dates, etc. are carved into the candles prior to applying the oils. When carving into candles, techniques include things like carving the name backwards as to appear going away from you while do a reversing or uncrossing, or writing to lovers names connected circling the candle. These methods are called fixing the object. Name papers are written also in symbolic ways. For instance in a situation in where you are dominating another person, their name is written 3, 5, or 7 (odd numbers are always used in hoodoo) times one under the other, turn the paper 1/4 turn and write your name over top of theirs, giving you upper hand. On the outside of the names in a fully complete connected circle you write words or a phrase that states the intention. You can then anoint this paper, add other ingredients, and fold in half towards you if bringing in what you desire or away from you if getting rid of things. Turn your paper and fold in the same way, turn it again and repeat. There are numerous methods to dressing candles. One popular way is to hold the candle and taking some of the oil, beginning in the center of the candle and stroke from center to top end covering the entire top half. Then you turn the candle over, again starting in the middle and working to the bottom half. Now, one thing to be said with this method (symbolism is a key factor when working with magic spells), is if you are asking to bring blessings to you such as money or a reconciliation, love drawing, etc., when stroking from center to end, the strokes are stroked towards you. If you are trying to get rid of energies, casting away negative vibrations, uncrossing, driving away someone, etc. the strokes are made away from you. These instructions are true of ritual baths as well as you will read on the spiritual cleansing page. When dressing or anointing a mojo bag or other object, it’s not quite the same as dressing a candle. The mojo bag, for example, is generally a flannel bag or even a silk bag, etc. One way that I personally dress my mojo hands (mojo bags, gris gris bags), is to take up some of the oil on my thumb and with the thumb between index and middle finger, I draw a cross on the object to signify the four cardinal directions relating to the elements Air, Earth, Fire, Water, and Spirit (the invisible center, the connecting point of all elements). I won’t go into the numerous meanings of the symbolism of the cross, but for now that is one intent. (Mojo hands are usually smoked with incense as well to give it life). 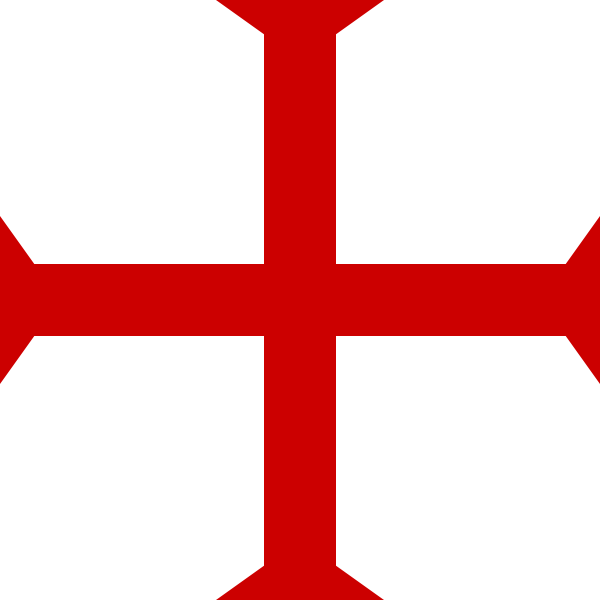 When I make this sign of the cross, I also recite a prayer of intent that includes the top arm of the cross as “Light”, the bottom arm as “Life”, the left arm as “Love”, the right arm as “Liberty”, and the center as “IAO”. Again, we won’t go into these meanings here, that’s for a whole other topic! Sachet Powders. This would be good one for a whole separate page all alone of it’s own, but for now, we will discuss it here. 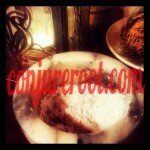 Many people will use sachet powders in conjunction with the hoodoo oils. Not always, but especially when working a magic spell. The candle will be dressed with the oil and then powder sprinkled on the candle or around the candle on the altar in a particular shape like a heart for love work. The method of laying the powders is symbolic of the intent of the ritual. For example, if doing an uncrossing ritual, sprinkle the powder counter clockwise symbolizing undoing the crossed condition. Although, I have heard and it makes sense as well, that sprinkling counter or clockwise could be representative of like shutting off a running faucet or turning on the faucet. For example, sprinkle to the right in a circle to shut off energies, or sprinkle to the left to open new door ways. The important thing to remember is your focus on your intentions and state a confirmation prayer if you have doubts that you might be messing up! Foot tracking or laying down tricks in someone’s foot steps or tracks is an old way of using powders. If you want to get rid of the pesky neighbors, take some move out powder and/or hot foot powder to their front door and sprinkle across the threshold and walk backwards from their door down to where the walk way begins. This way you don’t step in the tracks yourself. Another popular way to use powders is to gather the foot track and mix with the powders to use in a spell or bottle spell. These are classic forms of the old hoodoo ways. I feel that powders are a safer alternative to using hoodoo oils on the body. I have used powders to dust my socks for luck or dust my bedsheets for “bedroom intentions”. Use hoodoo sachet powders on objects when you are doing work on someone that you don’t want to be suspicious of what magic you are up to! Traditionally, you mix the sachet powder with local dirt to mask it’s identity when laying the powders down in someones path. If you want to bind your lover to you, dust his under garments with a binding formula mixed with “Love me” or “Stay With Me” powder. Dust objects that your victim will come in contact with, like computer keyboards, door knobs, sitting areas, walk way areas, and papers (steady work on job applications is very common). Root workers call these “sneaky tricks”! All of these ideas are common methods, but they work well. A big part of magic is creativity and individuality. Putting your spirit and essence into your work is important. Anyone can do a little Magic, but Great Magick comes from within your being. Where your heart is, counts. Be mindful of your actions and your decisions.